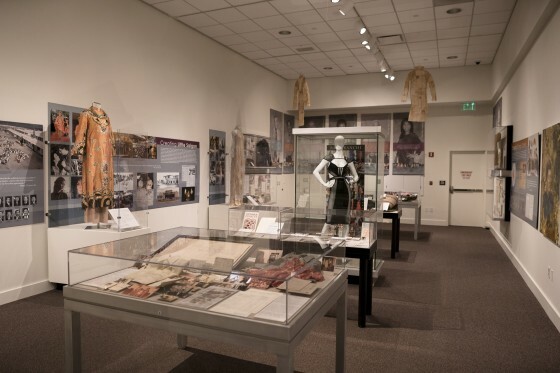 “Viet Stories,” an exhibit that documents the journeys Vietnamese refugees, is currently on display at the Richard Nixon Presidential Library and Museum. YORBA LINDA, Calif. — When NgocDiep Tran decided to flee Vietnam in 1981, six years after the war ended, she sold all of her belongings. The Communist government had taken her husband to a hard labor camp and was going to forcibly relocate the rest of her family into the jungle, she said. So she traded everything she owned to make sure that she had enough money to buy food for her and her three young children. But one item she kept was a red sweater to keep them warm at sea. In Vietnam, after the war, those who left the country were kind of seen as traitors and they erased our histories—they don’t teach about what happened to these refugees. On a boat headed for Singapore, she found that the red sweater served another purpose. Tran, then 37, used the bright garment to wave for help at ships passing by. None rescued them, but one stopped to give them water. Tran and her children, ages 12, 8 and 5, eventually re-settled in Huntington Beach, Calif., where she has lived ever since. And nearly 40 years later, she still has the red sweater. “It’s a memory that I needed to keep,” she said. Tran’s sweater is one of more than 100 artifacts, photographs and oral histories of Vietnamese Americans featured in a new exhibition at the Richard Nixon Presidential Library and Museum in Yorba Linda, Calif.
“Viet Stories: Recollections and Regenerations,” which is scheduled to be on display until May 28, documents the journeys Vietnamese refugees endured after the Fall of Saigon in 1975, and also their development as a community in Southern California. While Vietnamese refugees lost most of their belongings when fleeing the country, Vo said that the items they did choose to bring tell an important story. Some of these on display include a white Samsonite makeup case that was used to carry family photographs and documents out of Vietnam; a moon lute made out of a bombshell; a pair of jeans worn when driving across the border from Vietnam to Cambodia; a chest x-ray from the medical screening required before entering the United States; a set of dentist’s tools; a record player; and a wedding dress. Also on display is the work of 17 Vietnamese-American artists. In his installation piece, “Crossing the farther shore,” Dinh Q. 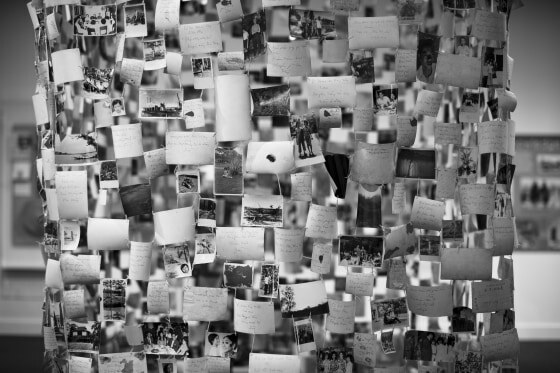 Le stitched together hundreds of wallet-sized, black and white photographs that he recovered from Vietnam into a giant mosquito net that hangs from the ceiling. The photos, mostly taken before the war, are what one would find in a family album — new babies, class portraits, a couple posing in the ocean, friends biking through the park, nature scenes. 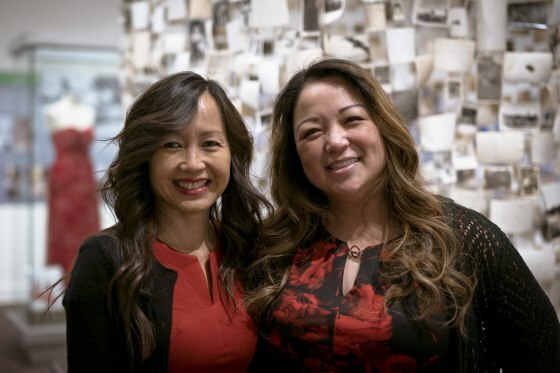 “Viet Stories,” which grew out an oral history project that Vo started at the University of California, Irvine, is also a call to other Vietnamese Americans, said Vo. 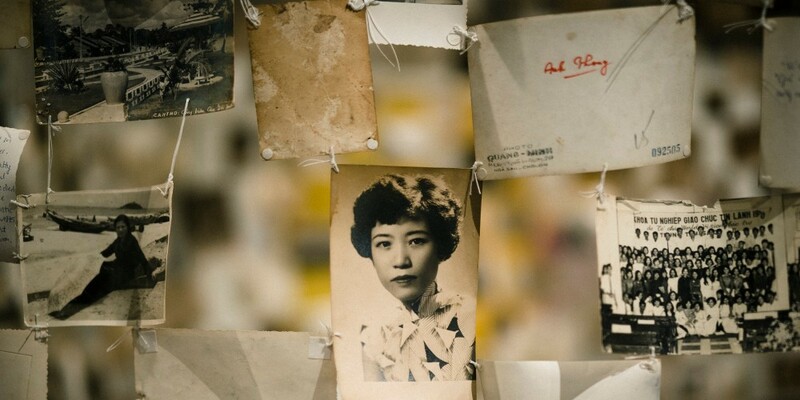 Tram Le, co-curator of the exhibition, agreed, saying that Vietnamese-American families often don’t realize how valuable their stories, documents and artifacts are. 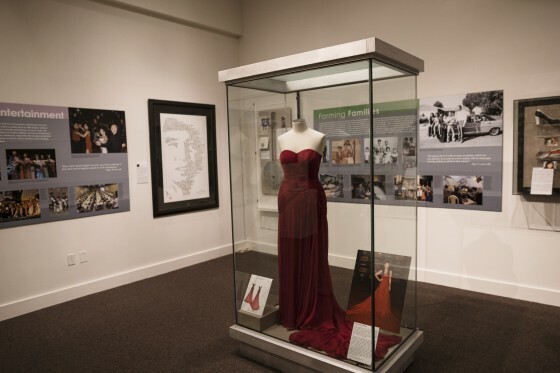 So the exhibition and oral history project — which has more than 400 interviews on file, half of which are available on a free, searchable database online — are in part aimed at letting the community know the importance of what they have and experienced, said Le.